Eddings range of OHP markers are especially made for writing on OHP transparencies as well as glass, slide frames and other smooth surfaces. The edding permanent OHP marker is characterised by its brilliant colour and features a superfine 0.3 mm round tip and high transparency waterproof ink. Available in Medium and Fine. 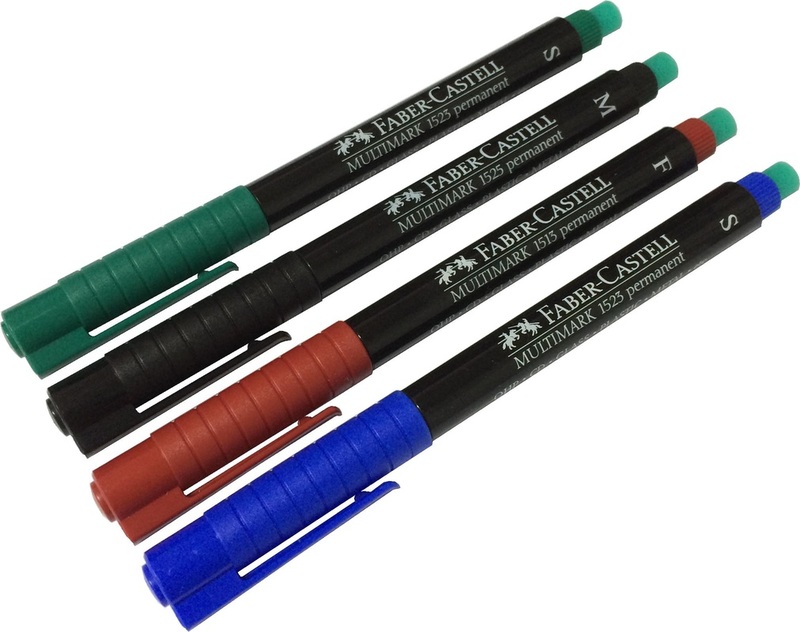 Originally developed for writing on overhead transparencies, the Faber-Castell OHP markers are enjoying increasing popularity as a pen for writing on all smooth surfaces. A special feature of this particular marker is the green eraser at the top of the pen which erases anything that has been written with it. It also features alcohol-based ink, it is lightfast and cannot be wiped off. Available in S, M and F as well as in blue, black, red and green. Very affordable OHP set featuring the brilliant Edding OHP markers. 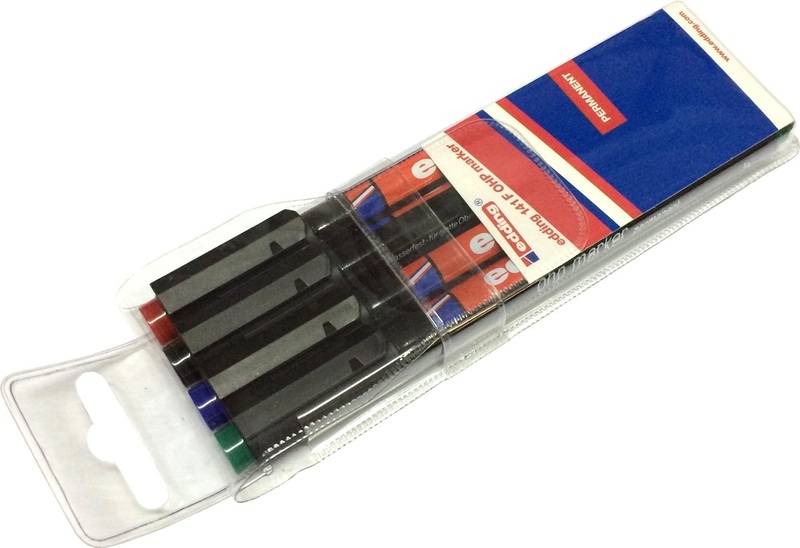 Includes 4 fine markers in blue, green, red and black.